The President of India is the head of the executive, legislature and judiciary of the country. Article 52 of the Constitution of India says that there should be a President of India. Article 53 says that all the executive powers of the Union shall be exercised by him either directly or through officers subordinate to him. Ram Nath Kovind is the current and 14th President of India. Kovind assumed office on 25 July 2017 after winning the 2017 presidential election. 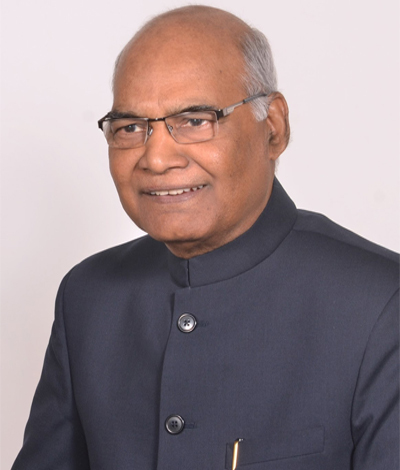 He is the second dalit to become the President of India. A lawyer by profession, Kovind practiced in the Delhi High Court and Supreme Court of India till 1993. In 1994 he became a Member of Parliament, Rajya Sabha. He served as an MP from 1994 to 2006. From 2015 to 2017, Kovind was the Governor of Bihar. Kovind was born on 1 October 1945 in Paraukh village in UP's Kanpur Dehat district in a dalit family. Kovind recived his bachelor's degree in commerce and an LLB degree from DAV College. After completing his education, Kovind took the civil services exam and cleared in the third attempt. 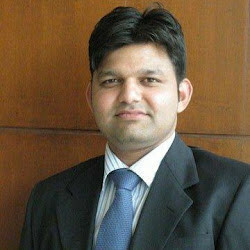 However, he did not join as he did not make it to the IAS but an allied service. Thereafter Kovind began practicing law. He held important positions such as Central Government Advocate in Delhi High Court, personal assistant of Prime Minister Morarji Desai, etc. In 1991, he joined the BJP and in 1994 became a Rajya Sabha MP. Nominated by the NDA for the position of the President of India, Ram Nath Kovind defeated Meira Kumar winning 65.65 percent of the valid votes. Article 54 of the Indian Constitution discusses the election of the President. It says that the President shall be elected by the members of an electoral college, which consists of the elected members of both the Houses of Parliament, and the Legislative Assemblies of the States and the two Union Territories, namely Delhi and Puducherry. The election of the President is held in accordance with a system of proportional representation by means of a single transferable vote. He can be re-elected to the office of the President. The oath of the President is administered by the Chief Justice of India, and in his absence, by the most senior judge of the Supreme Court. Have completed the age of thirty-five years. Be qualified for elections as a member of the Lok Sabha. Not hold any office of profit under the Union or any State government, or any local or other authority. Article 56 of the Indian Constitution says that the President shall hold office for a term of five years from the date he takes up his post. He may resign from his office by writing his resignation to the Vice-President of India. But, he will continue to hold his office, in spite of tendering his resignation, until his successor takes up his office. And, before his office gets vacated, an election should be held for the same. Article 61 provides for the manner in which he can be impeached on the violation of the Constitution. The Vice-President acts as his substitute in case his office falls vacant on the grounds of his death, resignation or impeachment or otherwise. Such a vacancy should be filled by an election necessarily taking place within six months of his office falling vacant. Impeachment is the process to remove the President of India from his office before his term expires. The Impeachment can be carried out if the Constitution of India is violated by the President and the proceedings can be initiated in either of the two houses of the Parliament. Two-thirds majority is required to pass the resolution in the House. Thereafter, a notice signed by a quarter of the members of the House and containing the charges is sent to the President. After 14 days the charges are taken into consideration by the other House and in the meantime the President can defend himself. If the charges are approved by the second House also then the President is said to have been impeached. He has to leave his office. The President of India is vested with the Executive, Legislative, Emergency, Diplomatic, Judicial and Military powers. All the executive powers of the Union shall be vested in him. These powers should be exercised by him in accordance with the Constitution of India. He appoints the Prime Minister and the Council of Ministers. He also appoints the judges of the Supreme Court and the High Courts in the states, besides appointing the Attorney General and Comptroller and auditor General of India. Among other critical powers, he enjoys the pardoning power, whereby he can pardon the death sentence awarded to a convict. He can dissolve the Lok Sabha and end a session of the Parliament. He can also address the Parliament in its first session every year. He can nominate 12 members to the Rajya Sabha. These members must have extra ordinary accomplishments in the fields of science, art, literature and social service. He can also nominate 2 members to the Lok Sabha from the Anglo-Indian Community. When a bill is passed by the Parliament, the President can give or withhold his assent to it. He can also return it to the Parliament, unless it's a Money Bill or a Constitutional Amendment Bill. He can declare national, state and financial emergency. National emergency can be declared on the grounds of war, external aggression or armed rebellion in the country. This can be done on the written request of the Cabinet Ministers after the proclamation has been approved by the Parliament. State emergency can be imposed in a state if it fails to run constitutionally. Financial emergency can be proclaimed if there is a likelihood of the financial instability in the country. Only when the President recommends can a money bill be introduced in the Parliament. He lays the Union budget before the Parliament and makes advances out of the Contingency Fund. He appoints ambassadors and high commissioners to other countries. All international treaties are signed on his behalf. Under Military powers, he can declare war and conclude peace. He appoints Chief of Army, Navy and Air Force. He can dismiss judges if two-third majority of the members present of the two Houses of the Parliament pass the resolution to that effect. The salary and allowances of the President are fixed by the Parliament of India. The current salary of the President is Rs 150000 per month. His official residence is Rashtrapati Bhavan in New Delhi. 2 Pranab Mukherjee (born on 1935) 25th July 2012 25th July 2017 Thirteenth President of India and a senior leader of the Indian National Congress. 3 Pratibha Patil (born on 1934) 25th July 2007 25th July 2012 Twelfth President of India and the first women to hold the post. 4 Dr. A. P. J. Abdul Kalam (born on 1931) 25th July 2002 25th July 2007 Eleventh President of India and an extremely talented scientist who has worked in organizations such as DRDO and ISRO. 5 Kocheril Raman Narayanan (1920-2005) 25th July 1997 25th July 2002 Tenth President of the Republic of India and one of "the best diplomat of the country". 6 Shankar Dayal Sharma (1918-1999) 25th July 1992 25th July 1997 Ninth President of the Republic of India and a member of the Indian National Congress. 7 Ramaswamy Venkataraman (1910-2009) 25th July 1987 25th July 1992 Eightth President of India and an indian lawyer and politician by profession. 8 Giani Zail Singh (1916-1994) 25th July 1982 25th July 1987 Seventh President of India and a member of the Indian National Congress and a sikh by religion. 9 Neelam Sanjiva Reddy (1913-1996) 25th July 1977 25th July 1982 Sixth President of India and the only person to be elected as the president of India unopposed. 10 Basappa Danappa Jatti (1912-2002) 11th February 1977 25th July 1977 Jatti was sworn in as Acting President of India upon Ahmed's death. He earlier was the Chief Minister for the State of Mysore. 11 Fakhruddin Ali Ahmed (1905-1977) 24th August 1974 11th February 1977 Fifth President of the Republic of India and an active member of the Indian National Congress. 12 Varahagiri Venkata Giri (1894-1980) 24th August 1969 24th August 1974 Fourth President of India belonging to a Telugu Brahmin family residing in Andhra Pradesh. 13 Mohammad Hidayatullah (1905-1992) July 20, 1969 August 24, 1969 Hidayatullah served as Acting President of India until the election of Giri as the President of India. 14 Varahagiri Venkata Giri (1894-1980) May 3, 1969 July 20, 1969 Giri was the Acting President of India following the death of Hussain. However he resigned in a few months to take part in the presidential elections. 15 Dr. Zakir Hussain (1897-1969) May 13, 1967 May 3, 1969 Third President of India and the country's first Muslim President. 16 Dr. Sarvepalli Radhakrishnan (1888-1975) 13th May 1962 13th May 1967 Second President of India and the reason why Teacher's Day is celebrated every year on 5th September. 17 Dr. Rajendra Prasad (1884-1963) 26th January 1950 13th May 1962 First President of the Republic of India and a member of the Indian National Congress.